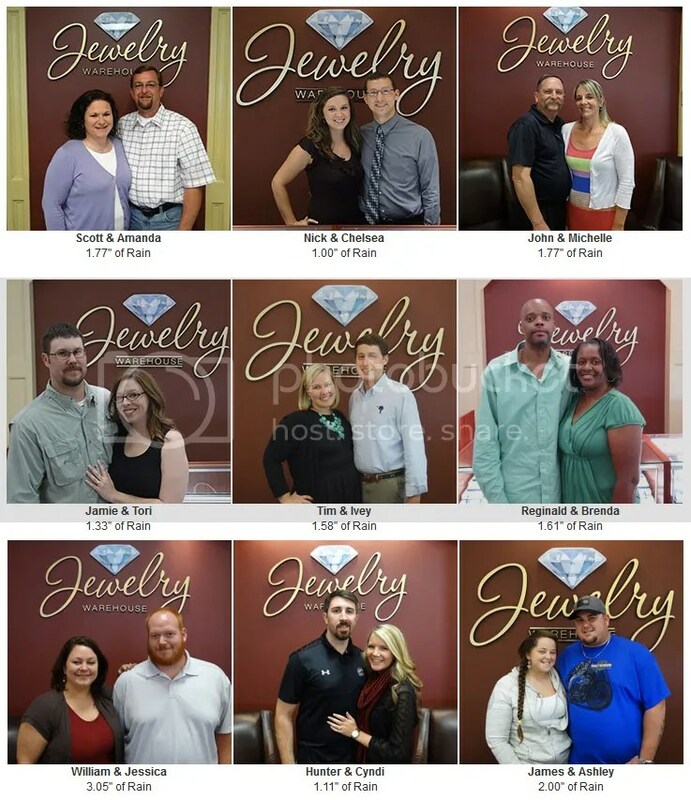 If it rains 1″ on your wedding day, your diamond ring could be FREE! As of April 15, 2019 – the Rainy Day guarantee is over. To qualify for the refund, the wedding must take place a maximum of two (2) years and a minimum of thirty (30) days after the purchase of the ring. The official certificate must be signed at least thirty (30) days before the wedding day. If the wedding date is rescheduled after the completion of the certificate, the certificate will be voided and a new certificate must be completed prior to the original wedding date and at least thirty (30) days before the new wedding date. Refund will be given to the original purchaser only, and cannot be transferred or sold. The refund will be paid in the form of a check to the original purchaser. Claims must be presented within six (6) months after the wedding date. The purchaser grants Jewelry Warehouse the right to use names, photographs and wedding information if and when a refund is granted, for any purpose, without additional compensation or consideration. *Liquid precipitation amount will be verified by applying weather data as recorded and reported by the Columbia SC Airport, and disseminated by the National Climatic Data Center. We reserve the right to void this offer for areas of higher than normal likelihood of qualifying for rain totals on sites away from SC. This entry was posted in Engagement Ideas, Jewelry News and tagged diamond wedding ring, diamonds, engagement, engagement ring, free wedding ring, jewelry warehouse. Bookmark the permalink.